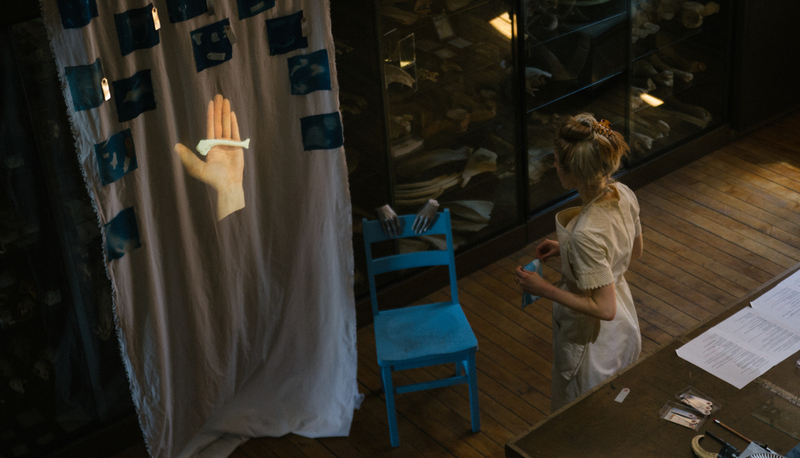 Images from 2015 performance at the RISD Edna Lawrence Nature Lab. Photos by Ricky Katowicz and Jonathan Gourlay. Supposing there is a bone, there is a bone. Supposing there are bones, there are bones. Bones seem to offer some sort of proof of past existence. In Shadow Osteology a sole performer, the reliquarian, supposes upon the possibility of remembering what the bones forget. 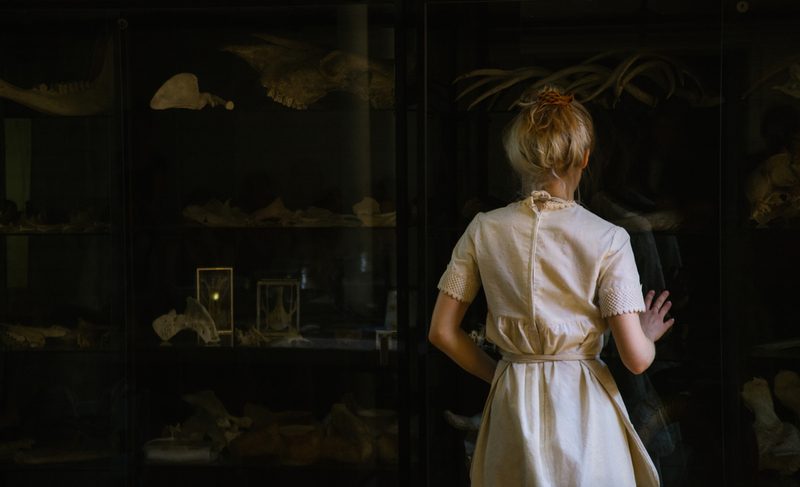 She makes her own bones, and gathers shadows of bone specimens, cyanotyping them onto fabric. Through subtle gestures of repetition against a dense soundscape, the performance proposes more of an image than an action, more of a question than answer. Suppose, suppose, suppose. Sounds from NASA, Neil C Jackson, Rebecca Schneider and the British Library.